Copyright © 2009 by JCC Association. All rights reserved. ith these simple yet stirring words, the Commission on Maximizing the Jewish Educational Effectiveness of JCCs, chaired by Morton L. Mandel, took the JCC Movement on a continuing journey for more than twenty years, a path that is as joyous in the traveling as it is in the terminus. Creating a community of conscious and committed Jews is what JCCs do, and supporting JCCs in that mission is what we do. Through our many programs for children, teens, and adults, through our educational gatherings and training conferences, through our consulting and personnel services, through our outreach to Jewish military members and their families, through all the ways that we help JCCs save money and run more efficiently, we help them create, support, and maintain that community of conscious and committed Jews. The special gift of the JCC is that it never presumes to define conscious or committed. We are confident that everyone who walks into a JCC will find a way to explore or express some new and exciting aspect of Jewish life and culture. We have worked hard to design programs and materials that embody all the richness and complexity of our Jewish heritage. In this sobering economic environment, we also know that JCCs need to work effectively and efficiently. Thatâ&#x20AC;&#x2122;s why we have ramped up our business and management publications, webinars, consultations, trainings, and other services to help JCCs get the most out of their budgets. Both on the programmatic and management sides, we are helping JCCs achieve that overarching goal. •	We grew and enhanced our signature programs throughout the year, and invigorated JCCs across North America in the process. •	We gathered the leadership of the Movement in the spring at a Biennial in Miami that was as educational as it was energetic. •	We analyzed benchmarking results for 48 JCCs, and helped them chart a course to continuous improvement and capacity building. •	Over the summer, our JCC Maccabi Experience programs gave 5,000 teens a path to follow their passion for sports, for the arts, and for Israel—and along each of those paths they discovered a new enthusiasm for their Jewish heritage. But perhaps what we’re most proud of is helping JCCs respond to the extraordinary and tumultuous economic climate of 2008. •	We responded early to the looming stormclouds. In the first part of the year, we published a new business model guide for JCCs, a paper on management strategies for recessionary times, and a manual on maximizing annual appeals. •	With the dramatic turn for the worse in September, we began delivering a daily economic hotline message, bringing JCCs a wealth of information about the potential economic pitfalls...and how to avoid them. •	All the while, we have maintained the highest levels of service to JCCs while weathering the impact of this unprecedented economic story ourselves. We are deeply appreciative of the outpouring of support, understanding, and encouragement from Jewish Community Centers and our generous donors. We look forward to continuing our strong relationship as we work together to significantly impact the Jewish community across the continent, and build much to celebrate in 2009. Free Marketing Concepts 3 Words. Endless Possibilities. their financial professionals. They planned board meetings around the Hotline’s findings. They reported back to us so we could share their experiences with the field. “The JCC Assocation hotline provides me with useful data points that serve as conversation starters with board members and staff leads who chair the JCCSF committees,” said Susan Diamond, president of the JCC of San Francisco. “The economy hotline is a very valuable service provided by JCC Association.” In addition to our daily economic briefing, we are doing everything we can to give JCCs the tools they need to come through the downturn successfully. To provide information to JCCs that they could use right away, in the middle of 2008 we published Weathering the Storm: Management Strategies and Tactics for JCCs in Recessionary Times and Business Model Guide. did you know? JCC Association’s five niche-market ad campaigns are specially designed to help JCCs increase and retain membership. They’re fast, they’re fun, and they’re free. We’ve done the creative work—just drop in your info and go! Visit www.jcca.org, click on JCC Resources, and download everything you need to get your message out. 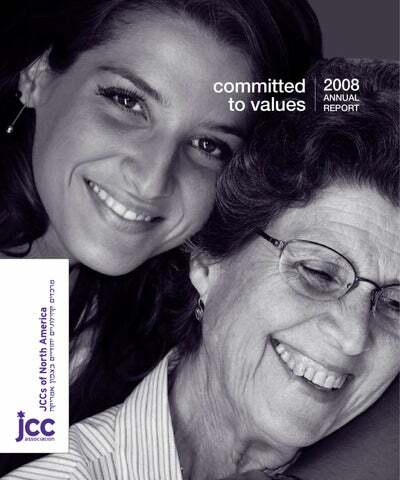 Timely, practical, and evidencebased, the reports helped JCCs remain agile and competitive in a challenging situation. Earlier in the year, we published Getting the Most from Your JCC’s Annual Appeal, written by our fundraising consultant, David Valinsky. It’s an invaluable aid to JCCs, who must depend on fundraising now more than ever. l The Mandel Center for Excellence in Leadership and Management is funded by an annual, renewable grant from the Mandel Foundation. Payoff guaranteed Investing in JCC staff through professional training always pays dividends. We make it easy. e’ve known for a long time that the influence and impact of a JCC on its members depends on its staff. The more dynamic, the more inspiring, the more Jewishly literate and informed the professional, the more able that person is to radiate the joy of Jewish life and culture. Research shows that JCC staff today has much more Jewish education and experience than it did 25 years ago, and a higher percentage feel that their Jewish identity is important. These statistics are heartening, for they indicate that the JCC is indeed a place that inspires Jewish journeys. A large number of our graduate scholarship recipients, the future leaders of the JCC Movement, are working on advanced degrees in Jewish communal work or Jewish studies. udaism has a vision for the kind of world we as Jews are striving to bring about. It is remarkably similar to the vision of a sustainable world that is emerging from today’s environmental movement. Both look to build a society that can sustain itself over time—from generation to generation— while nourishing its members in the present both materially and spiritually. This year we made the commitment to mobilize the resources of the JCC Movement to making the vision of a clean, green, sustainable world a reality—a world that is not built on waste and excess. What better way to start than by greening the JCC Association Biennial? JCC leaders took notice of our efforts in Miami to reduce waste, encourage recycling, and share information about greening JCCs. We continued this effort with a “reduced paper” board meeting, and will expand our efforts at all JCC Association meetings and conferences. Now JCC leaders are turning to JCC Association for information about how to go green. Over 100 JCC professional and volunteer leaders are sharing information and ideas on a “greening” Listserv. about the rewarding work and opportunities that can be found at JCCs. We also made it a point to speak with thousands of teens, coaches, and delegates at the 2008 JCC Maccabi Games® and JCC Maccabi ArtsFest®. did you know? In 2008, our Graduate Scholarships helped 15 full-time scholars pursue graduate degrees, at schools including Columbia University, New York University, and Jewish Theological Seminary. Upon graduation, they will put their knowlege to work at a JCC. Our Tuition Assitance Programs helped six current JCC professionals afford part-time study towards advanced degrees that will make them even more effective in serving the JCC Movement. Contact Alan Mann at amann@jcca.org to get in touch with your JCC Association consultant. Our initiatives are transforming Jewish camping, helping JCCs impact a generation of Jewish youth Jewish valuesâ&#x20AC;&#x201D;served daily Thanks to support from the Legacy Heritage Fund, we gave 48 grants to JCC day and resident camps for JCC Association/Legacy Heritage Fund Days of Caring and Sharing projects so they could make tikkun olam and community service an essential part of their program. With help from the Foundation for Jewish Camp and the Genesis Philanthropy Group, we helped children from Russian-speaking families attend Jewish day and resident camps, which meant they had the chance to experience a joyful Shabbat perhaps for the first time and learn what it means to be Jewish and proud in America. Those boys and girls certainly met some of the 400 Israeli shlichim we interview and train and place in JCC day and resident camps each summer. In partnership with the Jewish Agency for Israel, we have been involved in this longstanding program for many years, and the impact of young Israelis in JCC camps continues to be profoundâ&#x20AC;&#x201D; both for them and for the campers. The campers who interact with Israelis daily feel a bond to the Jewish State that is personal and immediate. The learning and intimacy go both ways. JCC pilot camps during the summer of 2008 and will be in nine camps in the summer of 2009. Based on a model program currently being used at Chicago’s Camp Chi, Yisrael Sheli will be available to 15 JCC resident camps in the summer of 2010, with new and different programs for ninth, tenth, and eleventh grade campers. It will be offered to all JCC resident camps in 2011. Developing serious Jewish educators Participants in Lekhu Lakhem: Jewish Educational Journeys for JCC Resident Camp Directors have told us how much the program meant to them, and how it has changed their self-perception—they now view themselves as serious Jewish educators as well as administrators. Meanwhile, our alumni group, Hemshekh: A Program of Continuing Jewish Learning and Growth for Lekhu Lakhem Cohort I Alumni, has been meeting monthly for ongoing mentoring with Jewish educators. The AVI CHAI Foundation has generously underwritten these two programs, as well as a new program for JCC resident camps. Through Chizuk: Jewish Programming Directors Strengthening Lekhu Lakhem-JCC Camps, participating camps obtain a Jewish programming director on staff to integrate meaningful, purposeful, quality Jewish content and experiences in all aspects of the camp program. l The Mandel Center for Jewish Education is funded by an annual, renewable grant from the Mandel Foundation. did you know? In 2008 we stripped down and rebuilt JCC Resources, our online solution supersite. Completely revamped with new software and a powerhouse search engine, the new JCC Resources is a one-stop source for the tools and information you need to tap into the collective brainpower of the JCC Movement. Visit www.jcca.org and click on JCC Resources today. e designed our adult initiative, Journeys: Adult Jews Living and Learning, to strengthen our Jewish interest and identity through viewing all aspects of life and culture through a Jewish lens. We successfully piloted the first Journeys program, entitled, “Food: A Loaf of Bread, a Jug of Wine, and You,” in the winter and spring of 2008, and it is now in use at JCCs across North America. It presents the Jewish experience with food through film, text, personal remembrances, baking, and wine tasting. The activities in the program lead participants to know themselves and each other in a deeper way, and to appreciate the specifically Jewish aspects of their interactions with food. veryone here is Jewish! I didn’t realize there were so many Jews my age!” The JCC Maccabi Games® makes it possible for every Jewish teen to suddenly know how it feels to be among not just friends, but a huge extended family. In 2008, over four thousand young Jews were able to feel that thrill of recognition and acceptance at the JCC Maccabi Games in Orange County, California, Detroit, Michigan, and Akron, Ohio. It’s hard to beat the excitement of Opening Ceremonies, when each delegation marches into the arena to shouts and cheers from fans. Competing against Jewish teens from the U.S., Canada, Israel, and countries around the world brings home the message that Jews live everywhere, and that wherever Jews live, they are one people. Taking part in a community service project through the Days of Caring and Sharing enables teens to perform the mitzvah of helping others, just as the Rachmanus Rule reminds them that the Games are much more than competition, they are an arena to live their Jewish values of compassion and respect for others. In between athletic events, teens learn about Israel through games and conversation with Israeli shlichim—a way to make Israel real for them as a modern society, a place where they can feel at home. In 2008, they were able to meet 67 athletes from Israel, kids like themselves, with Facebook pages and iPods and dreams for the future. Another central experience at the JCC Maccabi Games is the memorial to the Munich 11, the Israeli athletes callously murdered at the Munich Olympics in 1972. The only public event outside of Israel that commemorates this tragedy, the JCC Maccabi Games reinforces the sanctity of the bond between Jews. Celebrating the unity of the Jewish people in northern Virginia and the importance of giving thanks in Minneapolis, a specifically Jewish theme set the stage for JCC Maccabi ArtsFest® in 2008, as it does each summer. Accomplished artists-inresidence encouraged the teens they worked with to look at art and life in a Jewish way, and in response, the young artists created work inspired by our deepest values. Young photographers took pictures of the poor and the homeless, to honor Isaiah’s injunction to “observe what is right and do what is just,” and an improvisational group put on a skit about kibbutz life. Signs in Hebrew, Jewish art on display, information about Jewish artists, maps of Israel, and Israeli dancing added to the Jewish environment the young people enjoyed. Three Israeli Partnership 2000 communities (Beit Shemesh, Pisgat Ze’ev and Tiberias) sent delegations, and interacting with their Israeli peers helped the American teens to appreciate the diversity of Israel. Both communities threw gala Israel@60 parties that included Israeli music, Israeli food, and a multitude of activities dealing with Israel, including a camel! The Jewish teens participating spanned the spectrum of Jewish observance. Thanks to the support of the Legacy Heritage Fund and many other donors who invested in this program, teens from Orthodox homes and those from secular backgrounds created and performed together, and learned the true meaning of K’lal Yisrael. Our teen travel program, JCC Maccabi Israel®, provided an even more memorable experience for teens visiting Israel. Groups from JCC camps and communities spent four fabulous weeks exploring the Jewish state, and seeing for themselves the miracle that is Israel. The young adults that came on the free Taglit-Birthright Israel trip had the time of their lives—and two of them even got engaged! l We are grateful to The Coca-Cola Company and the Jewish Sports Foundation for their support. did you know? Our continental Preferred Vendors can bring JCCs great products and great savings on everything from insurance to flooring, from fitness equipment to websites. Visit www.jcca.org and click on Preferred Vendors to see the complete list, and start saving today. Peer K. Explorer® visited over 500 early childhood classrooms last year and helped young children learn about Jewish values. Contact lisa@jcca.org to learn more about Peer K. Explorer and An Ethical Start. JCCs must bring the joyfulness and diversity of Israeli life to North America. So said JCC Association Chair Alan P. Solow at the 2008 JCCs of North America Biennial, and we’re working to make that happen. Our office in Jerusalem planned seminars for a variety of JCC groups in 2008. An interfaith group from San Francisco shared their experiences in a blog, and a parent group from Manhattan placed their children in day camp with Israeli kids while they traveled. Groups from Detroit to Miami visited and every person returned with a new perception of the Jewish state—as a modern, vibrant society—to share with their friends and colleagues. Jews in the military: we serve those who serve Jewish men and women serve in all branches of the U.S. Armed Forces in all parts of the world. Since 1917, JWB Jewish Chaplains Council has supported these troops during peace and war. We have sent them holiday packages, brought messages from home, and made sure that they know that we are behind them. The chaplains that JWB has endorsed have provided comfort and guidance to young people in circumstances where they feel isolated and frightened. In 2008, we gave them the first new translation of the Hebrew Bible Jewish military personnel have received since 1941. Thanks to the generosity of the Everett Foundation, together with the Jewish Publication Society, we published a pocket-sized copy of the JPS Tanakh: The Holy Scriptures for Jewish Personnel in the Armed Forces of the United States, one that was specially designed to fit into a military uniform pocket. This Tanakh has since been distributed free to military personnel throughout the world. For the first time, Jewish enlistees can request a Hebrew Bible when they report for active duty, just as their fellow non-Jewish enlistees have been able to do with their own sacred texts. We expanded our efforts to recruit more Jewish chaplains, visiting six different rabbinical schools in the U.S. and Israel and escalating our outreach to rabbis in the field. The result was several new chaplains and chaplain candidates. For the coming year, our goals include still more intensive recruiting and providing more extensive training for our lay leaders. Jewish service men and women look forward to receiving our holiday package shipments. One soldier wrote, “It’s tough being the only Jew around (that I know of) and you helped to make my yontif a little nicer.” l In 2008, we distributed 10,000 copies of the JPS Tanakh—the first new translation of the Hebrew Bible Jewish military personnel have received since 1941.
did you know? JCC Association offers executive search consulting to each JCC, ensuring you move from strength to strength in your most important staffing decision. Find out why 95% of JCCs seeking new executives over the past eight years have turned to us to help them locate the best candidates, and make the right choice. See page 6 for other consulting services. Contact Alan Mann at amann@jcca.org to learn more. We’ve always said that “You Belong Here.” And the research data backs it up. We began work on a new edition of the Prayer Book for Jewish Personnel in the Armed Forces of the United States. When it is ready, this will be the first such edition to appear since 1985, and will be the latest in a series of special editions dating back to JWB’s inception during World War I. *As of January 25, 2009 For information about contributing to the Meeting the Challenge: SECURING JEWISH FUTURES Campaign, or to learn about naming opportunities in the new JCC Association continental headquarters, please contact Fani Magnus Monson, Vice-President of Development, by email at FaniMM@jcca.org or by telephone (212) 786-5135. JCC Association is ranked as a 4-Star Charity We are proud that Charity Navigator has awarded JCC Association its 4-star rating for four years running. This coveted designation compares the ratio of donated dollars that go directly to support the work of the agency vs. dollars spent on fundraising, and other markers of sound fiscal management. Only 7% of rated charities have received four or more consecutive 4-star evaluations; this stamp of approval indicates that JCC Association is a worthy and deserving recipient of donated funds. The following individuals made a leadership commitment to JCC Association’s Endowment Fund to assure that the work of the JCC Movement continues in perpetuity. We give them our special thanks. These gifts were received prior to the inception of the Beyond 2000 Endowment Campaign. Esther Leah Ritz Next Generation Memorial Fund To honor the memory of Esther Leah Ritz, former continental chair and founder of the JCC Association Endowment Fund, we established the Esther Leah Ritz Next Generation Memorial Fund. Proceeds of this endowment underwrite the cost of the Next Generation program, which supports the development of lay leadership for Jewish Community Centers. Merrin Center for Teen Services JCC Association is grateful to Anne Heyman and Seth Merrin whose generosity established the Merrin Center for Teen Services, which is dedicated to enhancing the work of teen professionals and providing programming for the youth they serve. Lenny Rubin Israel Education Fund This fund, named in honor of Lenny Rubin k”z upon his retirement, supports the continuation of Israel education for JCC Association staff. We thank the generous donors who contributed to this fund in 2008: Kate Obstgarten Private Foundation Laura Rubin In addition, we thank the many people of the JCC Movement—lay and professional—who contributed to the fund to honor Lenny Rubin’s memory. The National Federation/Agency Alliance is a partnership that provides a significant amount of funding to nine national agencies including $1,625,886 to JCC Association of North America in FY 2008/2009. This year the Alliance additionally awarded $65,500 in funding specifically to support GesherCity, JCC Association’s signature outreach and networking program to engage the next generation. The national agencies that make up the Alliance engage in critical work to build capacity and support the work of the federations and their local affiliates. They also help advance the federation system’s goals on a national and international stage. While mindful of its role in evaluating and monitoring the national agencies, the Alliance works to promote deeper relationships and create synergy between the national agencies and the federations. Mandel Center for Excellence in Leadership and Management JCC Association is grateful to the Mandel Foundation for its annual renewable grant, which created and sustains the Mandel Center for Excellence in Leadership and Management. Program and Project Support Executive Associate (cont’d) JoAnn and Paul Gillis Cathy S. and Charles Glaser Emily G. and James Holdstein David Jacobs Jerome A. Kaplan Hannah King Brian Krost Sherry and John Kulman Richard David Levin Jeanmarie and Gary S. Lipman Saul H. Magram Phyllis and Philip Margolius Garth Potts Patricia and Stephen R. Reiner Marcia Reisman Fred M. Richman Sidney and Lois Robbins Francine and Steven Rod Miriam and Harold Robinson Susan and Alan Sataloff Brian Schreiber Elizabeth and Edward Schreiber Marilyn and B. Lee Skilken Jennifer Tobenstein and David Polson Sharon and Edwin Toporek Ricki and Howard Wasserman Charlene and Steven Wendell Jerry Wische We thank the myriad federal employees who supported JCC Association through contributions to the Combined Federal Campaign. Corporate Sponsors We thank and acknowledge Loeb & Loeb LLC for providing pro bono legal services regarding intellectual property for JCC Association’s signature programs. We gratefully acknowledge the following companies who provided support to JCC Association continental programs: JCC Maccabi ArtsFest The Coca-Cola Company Just Born, Inc. JCC Maccabi Games The Coca-Cola Company CIBC World Markets Miracle Day Just Born, Inc. JCCs of North America Biennial 2008 AAA Flag & Banner Mfg. Inc. American Friends of Magen David Adom The Coca-Cola Company Just Born, Inc. Commerce Bank cMarket Sterling & Sterling Inc. Network Services Company Subway Staples The Redwoods Group, Inc. The Renfrew Center of Philadelphia JCC Circle JCC Association thanks the following company whose contribution is earmarked to the publication of JCC Circle: Kades Financial, Inc.
First Data Oracle FreeMotion Fitness Iron Grip Barbell Company, Inc. iTech Fitness Landscape Structures Les Mills West Coast, Inc. Matrix Fitness Systems Corp. Mondo Network Services Company The Ostroff Group Inc. Personal Training on the Net Power System, Inc.
Precor The Redwoods Group, Inc. Retention Management Sheletron, Ltd. Staples Star Trac Sterling & Sterling, Inc. STOTT Pilates Strive Enterprises, Inc. Take It Off Technogym USA Corp. XerGames Technology, Inc. Program Partners American Council on Exercise Hobby Quest International Council on Active Aging Silver Sneakers T.G.I. Healthworks, Inc.
Staff and Services Please note that if you are in our telephone system through the main switchboard (212) 532-4958, you can contact additional staff members via their extensions (Last four digits of their number below). Staff members can also be reached directly at their telephone numbers listed below. communities to enhance the functioning of JCC boards, executives, and staff. Provides JCCs with ongoing training in areas such as lay leadership development, staff development, programming, finances, etc. Helps JCCs improve their services by conducting research, gathering statistical data, and strategic planning studies, developing annual work plans, and providing seminars for management and lay leaders. Community Services sends a bi-weekly electronic communication packet to executive directors and presidents to share resources, information, and trends. Research & statistical data provided by Florence G. Heller-JCC Association Research Center. oversees management of financial and human resources record keeping, financial reports, and information technology. Assists JCCs in developing data-processing plans and in conducting financial reviews. 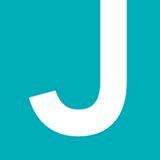 the people, experiences and programs of the JCCs of North America with Jewish content, learning, and values, and thereby to enhance and elevate every Jewish person who is part of a JCC community. recruits, refers for placement, counsels, and trains professionals across the continent. Extends scholarships to qualified college graduates interested in JCC careers and offers training seminars as well as study seminars in Israel. Distinctive program offerings will be more essential than ever in the coming years. We’re partnering with Olympic Gold Medalist Lenny Krayzelburg to bring his innovative and effective SwimRight learn-to-swim method exclusively to JCCs. Building connections with Israel and Jewish communities around the world is threatened by a tough economy. The key to navigating the unpredictible economic climate in coming years is strong leadership. We’ve formed a partnership with Oranim Educational Initiatives to bring worldwide travel opportunities to JCC members—at competitive prices. We’re tailoring Biennial 2010 to adapt to the unprecedented developments, and to give lay leaders tools commensurate to the challenges ahead. A strong Web presence that ranks high on search engines is essential for reaching new members and users. Technology and the economy are changing the way we market JCCs—and the importance of messaging has never been greater. We’re developing a Web site to attract potential participants— and direct them to JCCs throughout North America. Look for it in 2009 at DiscoverJCC.com. Keep abreast of current approaches—and their application for JCCs—with our JCC marketing e-news, IDEALS.